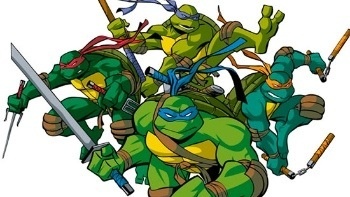 Children's entertainment network Nickelodeon has acquired the rights to the four "Heroes in a Half-Shell" with the intent on developing a new CGI animated TV series by 2012 along with a new feature film. Cowabunga! The Ninja Turtles might not be as popular today as they once were during the late '80s and early '90s, but they're still worth a good chunk of change: $60 million, to be precise. That's the amount of money it cost for Nickelodeon to purchase the rights to the franchise from The Mirage Group, reports GI.biz. Nickelodeon, which is a division of Viacom, plans on creating a new TMNT CGI animated series by 2012 (heralding the end times!) as well as a new feature film in conjunction with another Viacom division, Paramount Pictures. While the company has stated that it intends to work with long-time TMNT toymaker Playmates for all the physical merchandising, there has been no announcement about how the purchase will affect Ubisoft's rights to make videogames based on the franchise. I'm not going to lie; it's hard to see how the Turtles are particularly relevant these days, let alone worth a cool $60 million. The franchise seems tired and a bit worn-out, but maybe that's just me getting older. Still, I'm not particularly sure how much of a place four pizza-loving mutant reptiles have in today's market beyond nostalgia for children of the 80s. Oh well. I suppose there is that value to nostalgia if nothing else. And hey, if they can revitalize Mickey Mouse, then why not the Turtles? For the record, Donatello was always the coolest. The dude was smart!